RAR offers diagnostic, vascular and neurovascular interventional services to hospitals, freestanding emergency centers and outpatient imaging centers throughout central Virginia. For most women, breast health is at the forefront of their overall health and wellness. Being proactive about your health includes age and risk-appropriate screening for breast cancer and the early diagnosis of cancer and other breast conditions. Minimally Invasive Arteriovenous Fistula Creation.The arteriovenous fistula is the preferred access for hemodialysis. This access is the safest and least costly access for hemodialysis when compared with catheter dialysis and arteriovenous grafts. When you or a loved one has a medical concern, it’s comforting to know you’re receiving care at an institution that’s—well—an institution! Radiology Associates of Richmond is the oldest ongoing private radiology practice in the United States. In fact, we began caring for patients like you back in 1905. Since the invention of the very first x-ray technology, Radiology Associates of Richmond has been on the forefront of using imaging techniques to diagnose and treat conditions that affect bone, blood vessels, and nerves—especially those in the brain and spinal cord. 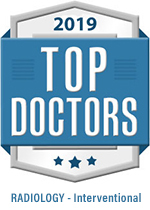 It’s all we do and we have experts performing highly specialized procedures not offered anywhere else in central Virginia. Today, minimally invasive interventional techniques have replaced many invasive surgical procedures. This means patients like you have better outcomes with less pain and shorter recoveries. Depending on the procedure, patients can often return to their normal activities within days—sometimes even hours. If your physician has recommended an imaging procedure to diagnose or treat a medical problem, we invite you to learn more about what to expect before, during and after your procedure. Please DO NOT enter patient sensitive information in your message.